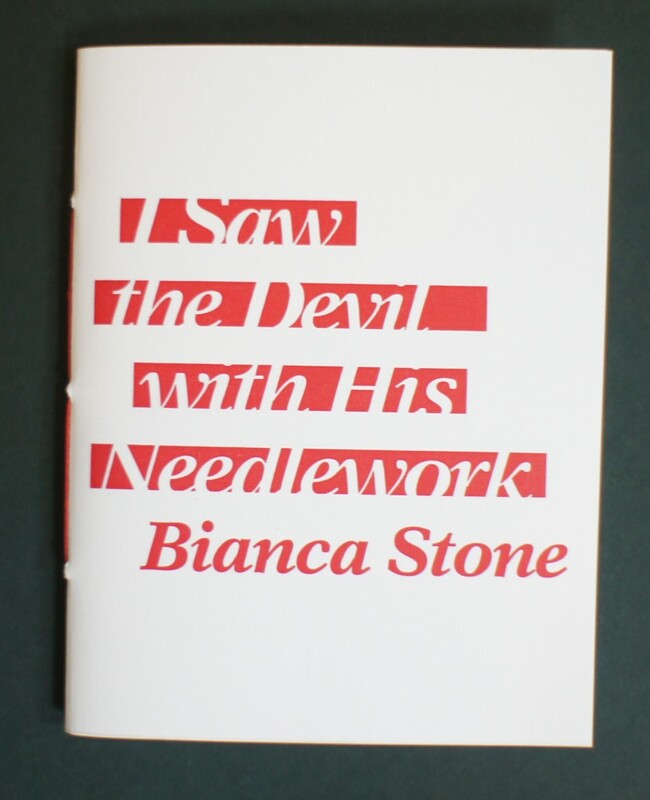 The air was like a bullet made out of silk… so begins Bianca Stone’s I Saw the Devil with His Needlework. In the three long poems that make up this chapbook, Stone explores the double nature of love in ways that seem simultaneously timeless and new. Bianca Stone is the author of several chapbooks, including Someone Else’s Wedding Vows (Argos Books), and the poetry-comic I Want To Open The Mouth God Gave You Beautiful Mutant (Factory Hollow Press). Her poems have appeared or are forthcoming in Best American Poetry 2011, Conduit, and Tin House. Bianca Stone is also a visual artist and her collaboration with Anne Carson, Antigonick, a new kind of comic book and translation, was published in spring of 2012 by New Directions. She lives in Brooklyn with the poet, Ben Pease. Posted by Elizabeth Clark Wessel, June 26th, 2012.